Few models represent a passion for value and premium design like the new 2018 Acura ILX. This sedan offers excellent mileage of 25 MPG city/35 MPG highway† and a sophisticated 8-Speed Dual Clutch Transmission with Sport Shift Paddle Shifters, all at a starting MSRP well under $30,000. And that’s just the tip of the iceberg—take a look at all the models we have on offer below! Then, contact us online to schedule a test drive! 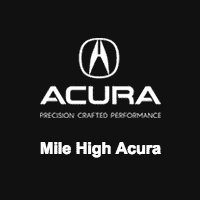 Experience all of these features in action at Mile High Acura in Denver, where our diverse inventory and flexible financing options make it easy to find and fund the Acura ILX of your dreams. Don’t forget to ask about the differences between the Acura ILX vs. TLX! **2019 models not yet available. †Based on 2018 EPA mileage ratings. Use for comparison purposes only. Your actual mileage will vary, depending on how you drive and maintain your vehicle, driving conditions, battery pack age/condition (hybrid models only) and other factors.